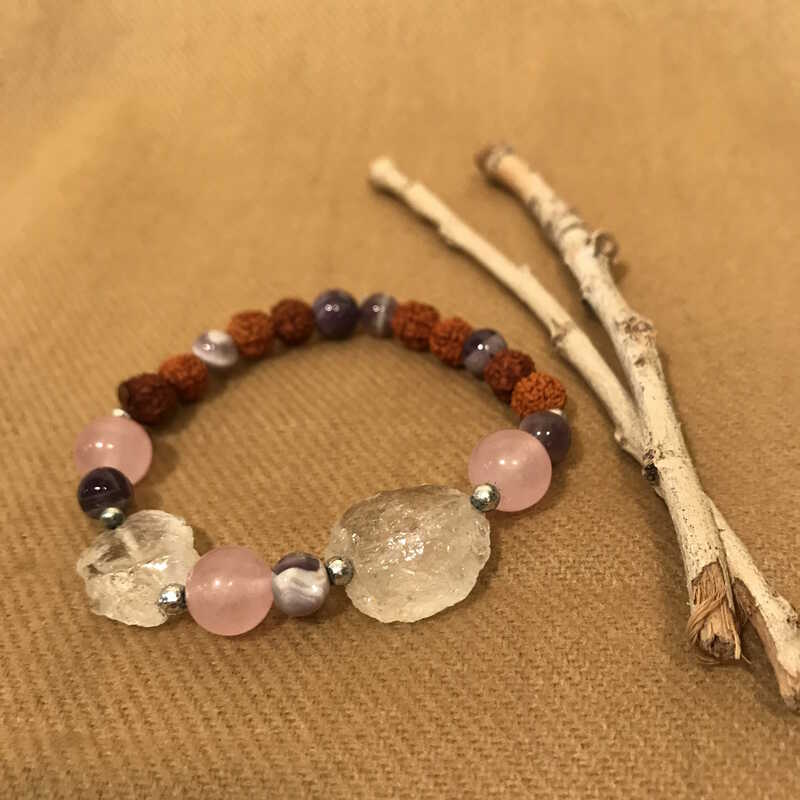 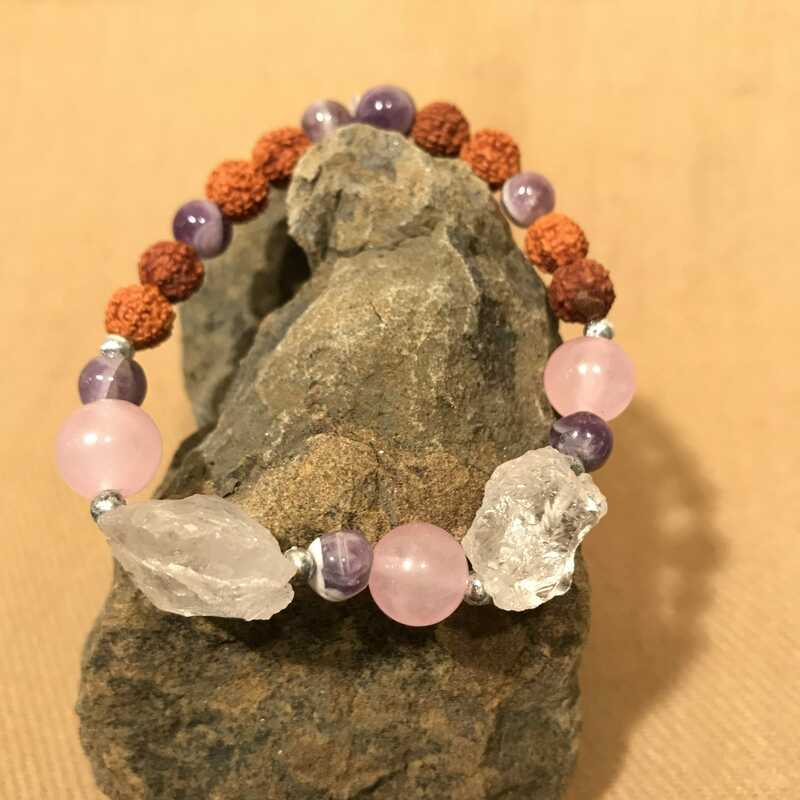 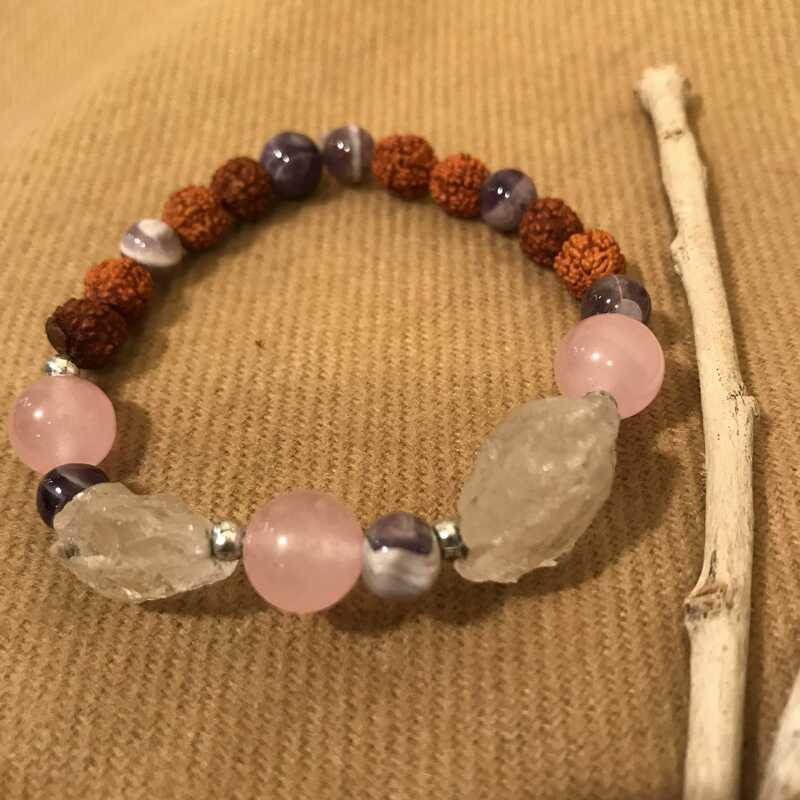 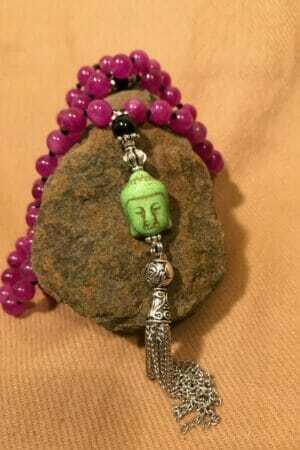 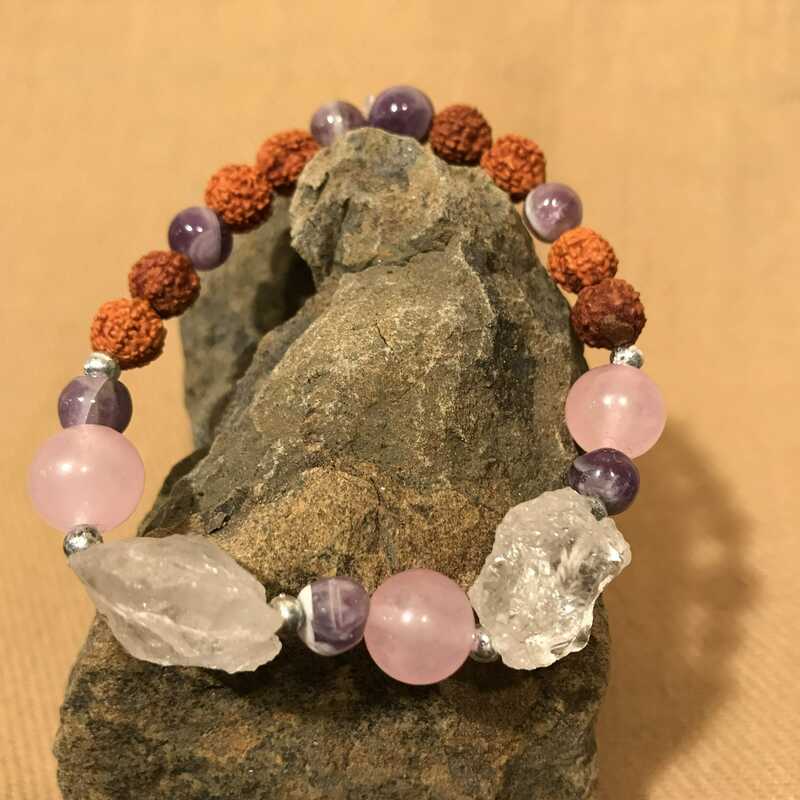 Gorgeous Rudraksha bracelet with Amethyst, Rose Quartz, and unpolished Clear Quartz beads. 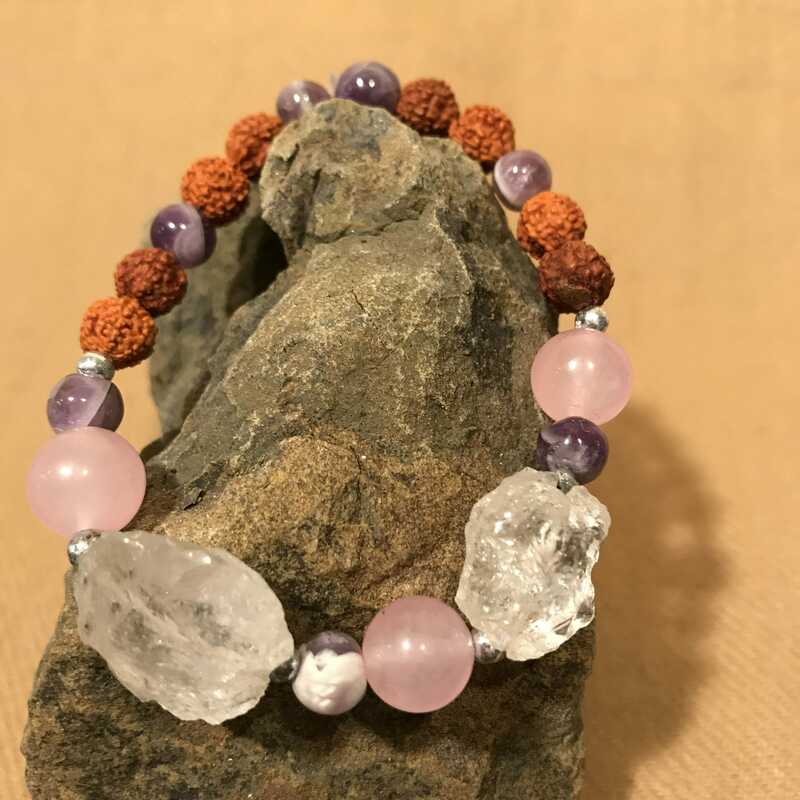 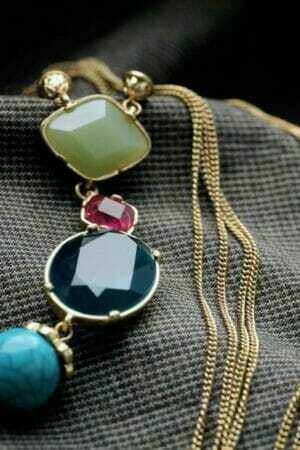 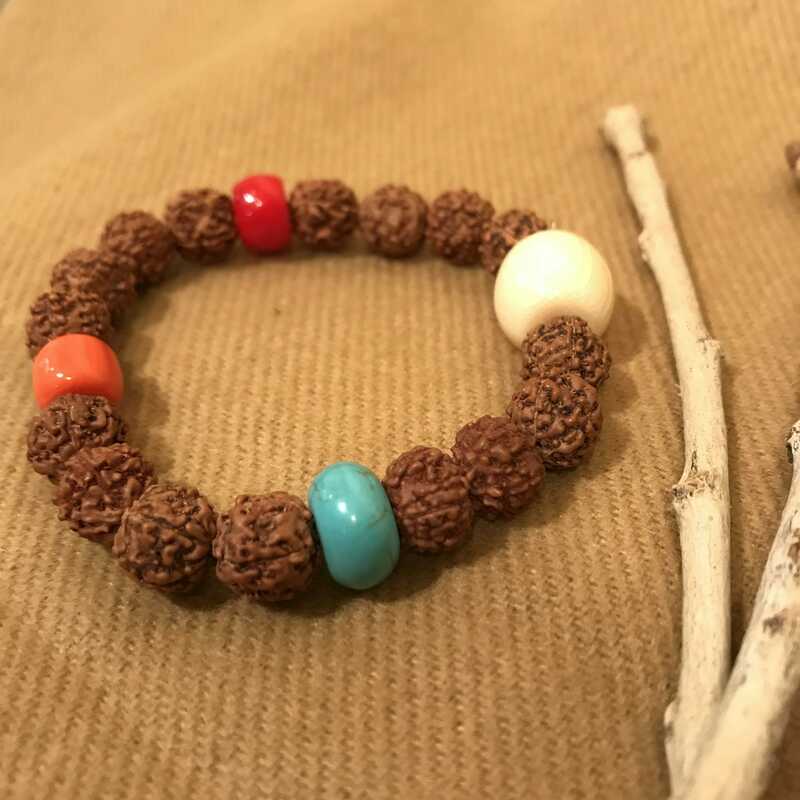 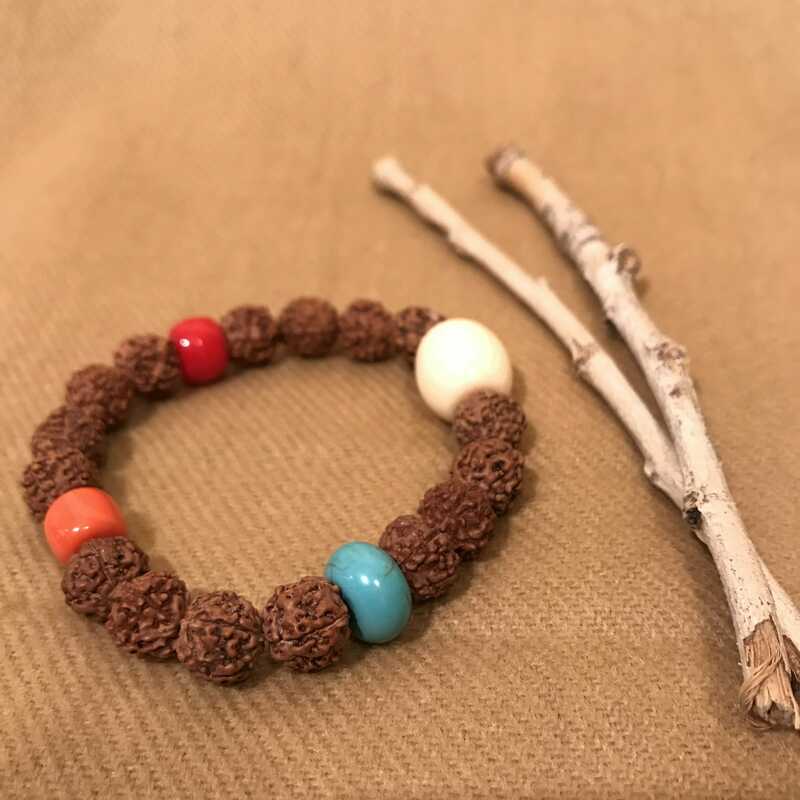 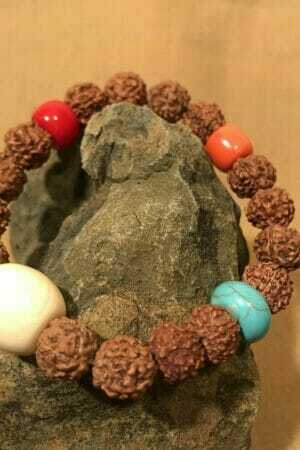 Mala bracelet measures approximately 7″ and is threaded with clear elastic. 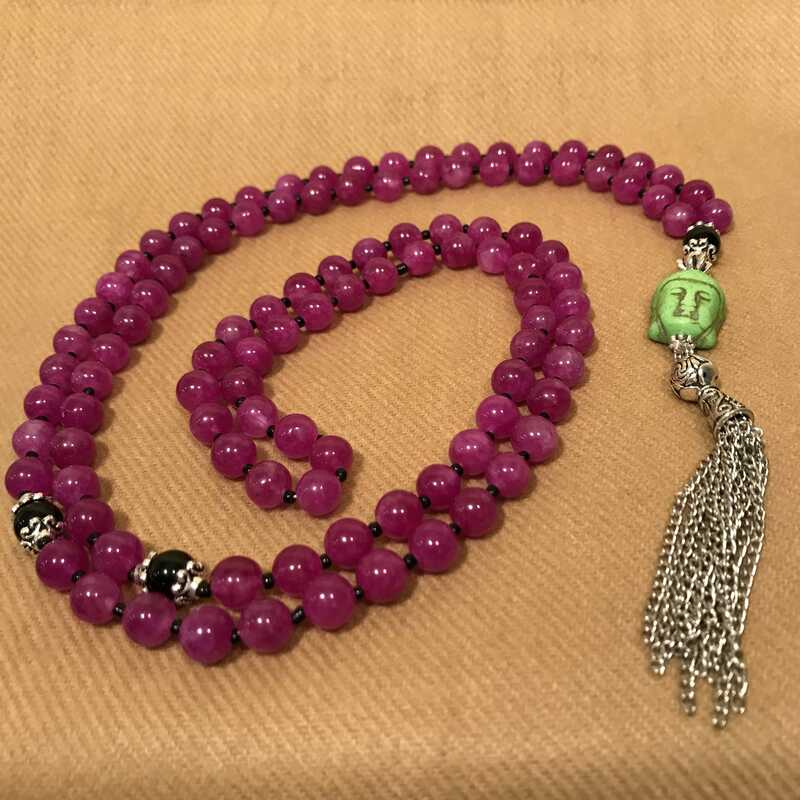 Largest unpolished bead measures approximately .75″ x .75″.